Buzzers are midge pupa, they take their name from the buzzing noise they make when in a swarm. Buzzers hatch out on virtually every day of the year. Normally they are fished as part of a team of flies, with a long leader and very slow retrieve. Sandy Dickson is on of the top fly deisgners in the UK and designs flies exclusively for The Essential Fly, critical of buzzers Sandy's Blank Buster Buzzer- Specimen Hunters are designed to imitate as closely as possible the natural buzzers, with hot coloured heads that act as targets for hungry trout. This is the closest to a natural buzzer you can use without trying to thread a real buzzer onto your hook. 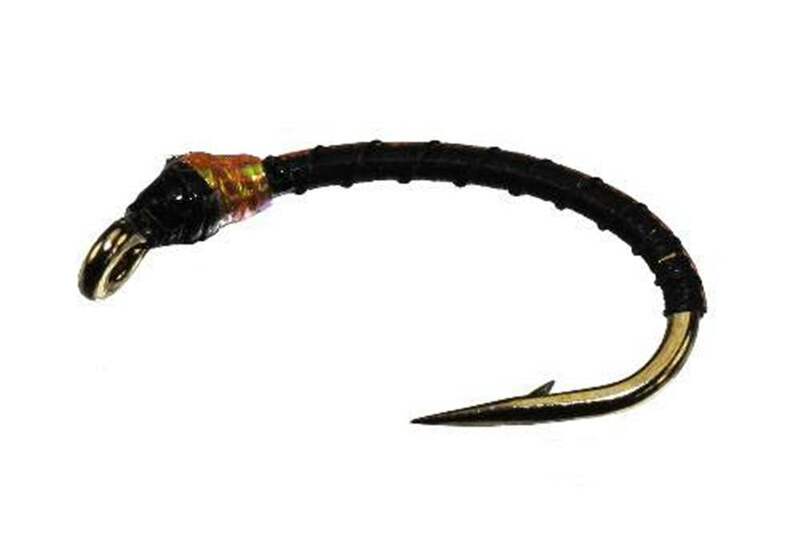 Sandy's Blank Buster Buzzer- Specimen Hunter's gives a natural ribbed effect to the fly. This fly has worked wonders on stillwaters, ideally they are fished very slowly on a floating line and as long a leader as you are can use. With its weight the Epoxy Buzzer cuts rapidly through the surface film and gets to fishing depth quickly. A very slow figure-of-eight retrieve is normally best; occasionally if there is a lot of buzzer activity fairly fast stripping can work well. Quite often this will be taken on the drop. best buzzers i have used.need to buy some more. Wanted a simple straightforward black buzzer, and this looks the business. Well tied, and received the day after ordering. I recently purchased a selection of buzzers. I have used them in the past. The buzzers are tied on quality hooks & to a very high standard.